We need to acknowlegde that we are sinners and accept the sacrifice of Jesus on the cross for our salvation. That authorises God to come to us. May we be that house where the Almighty chooses to live by accepting Jesus as our Saviour. May we also walk in the grace to remain that house fit for the King of kings by making Him Lord, obeying His word daily. May we not scuttle the process of sprucing us up to meet His standards in Jesus’ name. Amen. 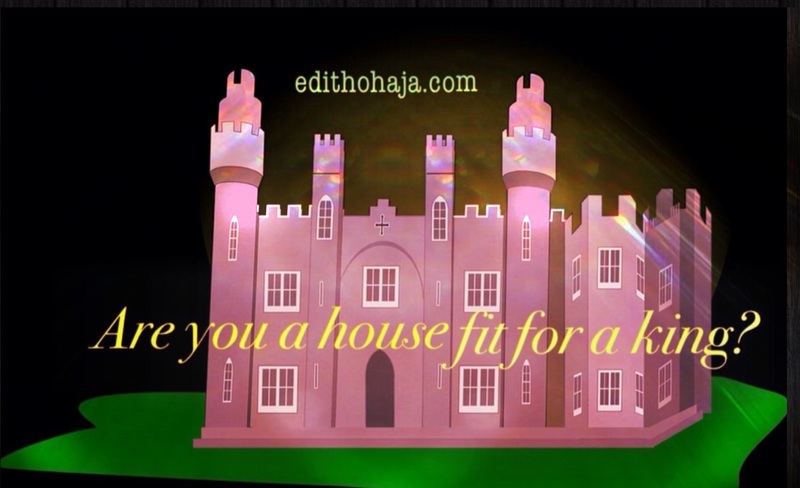 Subscribe to edithohaja.com for more inspirational, educational and entertaining articles, poems, quotes and graphics. Amen. His grace is always sufficient for His children. Have a splendid weekend in Jesus' name. May the point of this post be your reality forever and may it bring abundant blessings your way in Jesus' name. Amen. I join my faith to yours, Duane, and say another "Amen".